''Millionaire's Row'' - Old Louisville's coveted and historic masterpiece of Victorian and eclectic architecture! The wow factor of this special section of South 3rd Street is indescribable! 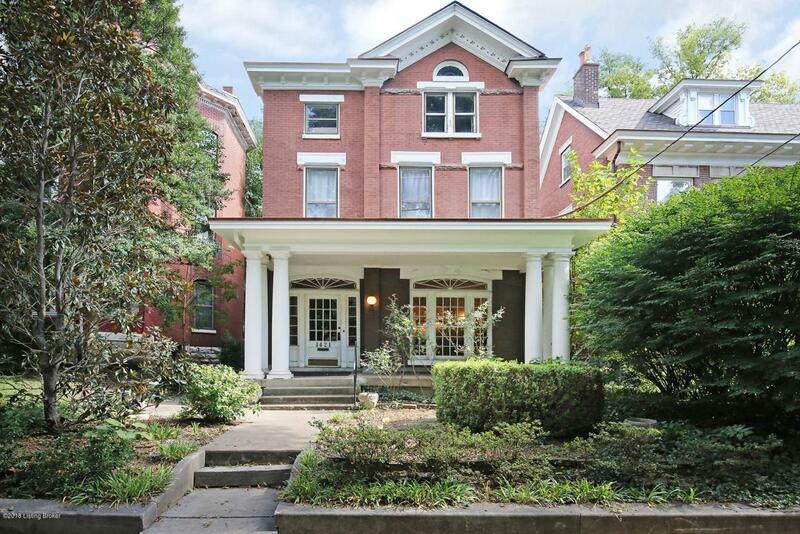 The tree-lined street boast large historic homes with character and detail galore. This grand home offers an open-style floor plan that is sure to impress any guests while entertaining! The first floor flows impressively with a large foyer, sweeping staircase, a large front sitting room, a dining room with original crystal chandelier, and an eat-in kitchen. Make your way upstairs to 4 bedrooms, 2 of which could be master suites with full bathrooms included. The 3rd floor offers 2 more bedrooms and another 2 full bathrooms. Bring your interior designer style to life! While this beauty is absolutelystunning, she is ready for an interior make-over! This would make a great project for someone to live in while making updates throughout. 7 fireplaces! Original wood-work and most light fixtures in tact! The current owners just completed the giant task of professionally repairing all box gutters, soffits, and the 2nd story deck. Roof is approximately 12-13 years old. 2 central Hvac units. Don't forget to check out the 2-car garage!